This yarn wreath was so much fun to make. Time and patience, but fun and rewarding. I wanted to make a special wreath for Judy, someone who is very special to me. She loves to knit so I thought I would make something with a knitting theme. I was told one of her favorite colors was bright green. So my quest began by finding the yarn colors that would work well together. 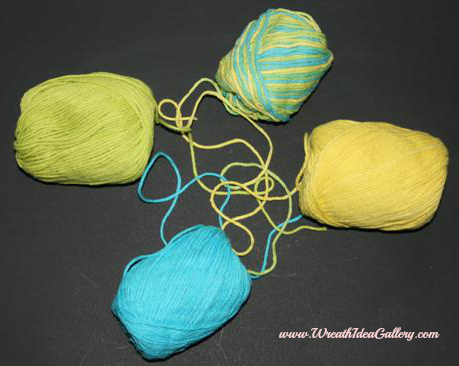 I found a multi-colored yarn skein that had the bright green and then added the other colors. I like a lot of texture, so not only did I use different colors of yarn I also chose to use different size balls. 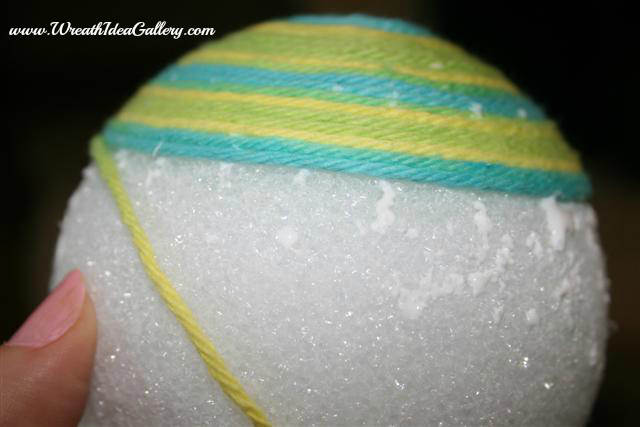 I chose the styro-foam balls for two reasons one to get a uniform roundness and two to conserve my yarn. I bought the six larger balls from the craft store but I found a variety pack at the dollar store. I had to buy several bags but hey, good deal. This next part takes a while so patience is key. 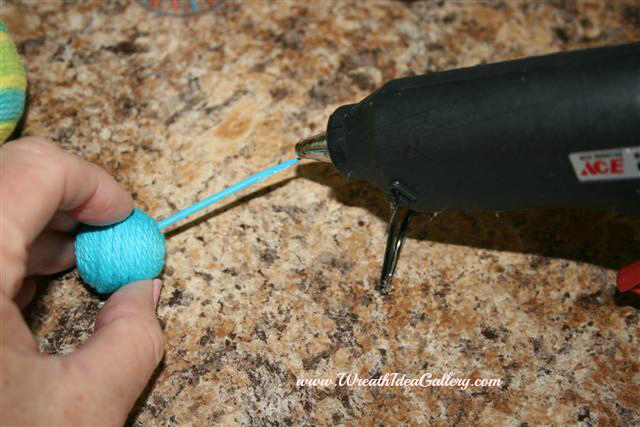 I started by gluing the center and then winding the yarn around and around. I went about half way and then stared from the other end and met in the middle. Some of the balls I left like this and others I would then wrap the yarn around in various ways to give some different textures. My cat really enjoyed this project! I wanted my yarn ball wreath to be pretty full, so I had a lot of balls. Good project to do while watching tv, I love multi- tasking. 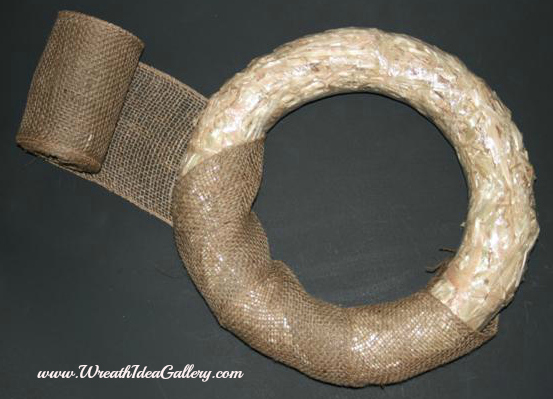 For my foundation I started with a 14" straw wreath form. 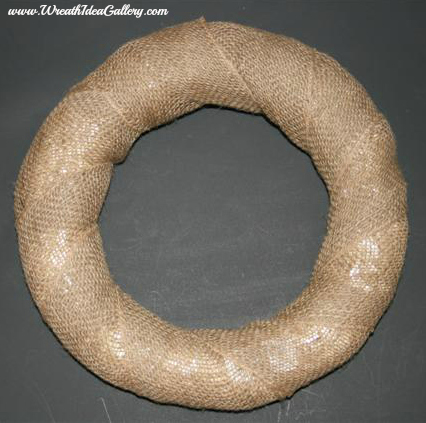 I then covered it with a 6" burlap. Securing it with hot glue at the end to hold in place. 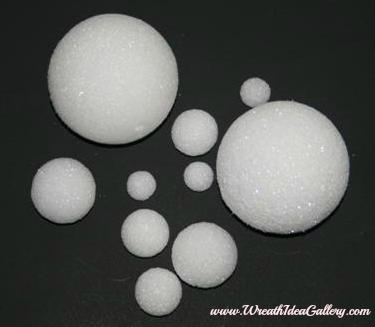 For security purposes I inserted a toothpick into each ball with a little hot glue on the end. Then put hot glue on the other end and inserted it into the straw form. 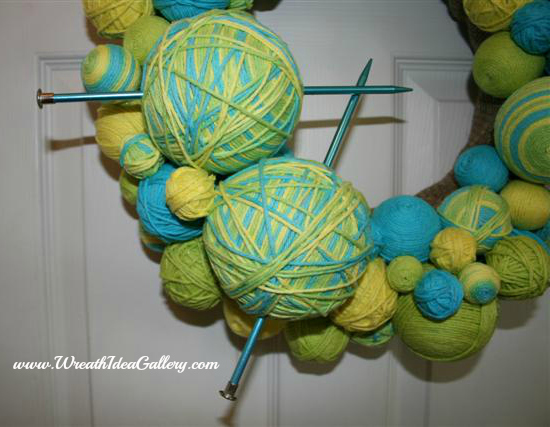 I started with my two large balls that I put the knitting needles through as one of my focal points. 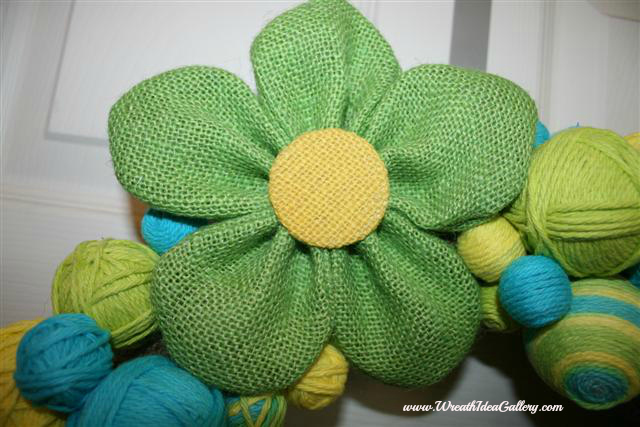 I love flowers so I chose to use this burlap flower that I found while picking out yarn and used it instead of a bow. Hot glued it as my second focal point and then added the variety of yarn balls, mixing sizes, colors and textures. 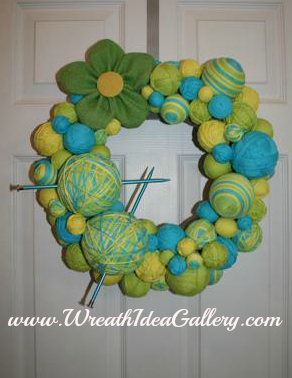 And there you have it, a yarn wreath for the knitting enthusiast. 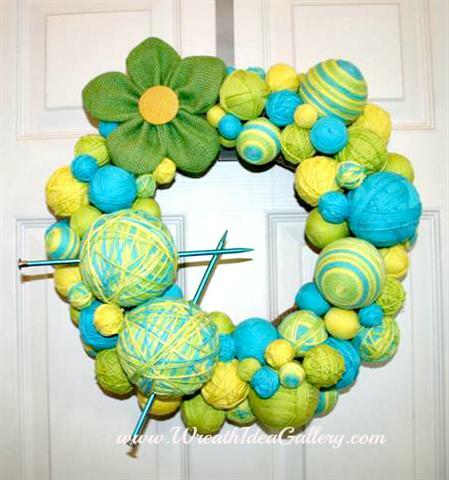 Now you are ready to make your own unique wreath with your own favorite colors for yourself or someone special. If you have made a yarn wreath I would love to show off your tips and techniques so others can get some additional ideas. Please consider submitting your wreath to show off and share. Thank you Donna, great job and plenty of info and pictures to assist any one interested in creating their own.